My wedding anniversary is just a few days away. According to my investigations, both the traditional and modern themes for the 23rd anniversary are Silver Plate. But, while I love silver bowls, platters, and toasting flutes, this year I was hoping for a little silver to wear, instead! Of course, I found some amazing ideas at Tiffany & Co. From classic necklaces, to nostalgic charms, to charming bracelets and stunning rings, it was almost impossible to narrow it down to just a few pieces! To make it even more challenging, Tiffany & Co. now offers a vast array of gorgeous gifts priced under $250. That’s good news for me. With one child a recent university grad crossing the Atlantic every few months and two kids in college simultaneously, I can still snag a distinctive Tiffany “blue box” and be able to pay tuition in September. 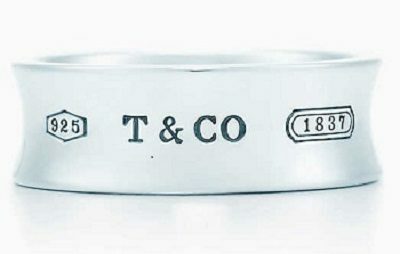 Tiffany & Co. even offers complimentary shipping on all orders of $150 or more! The pieces above are some of my top picks, regardless of price (the simple ring, above is my personal fave). But, since the pieces begin at just $125, you don’t have to stop at just one! The Power Bead Bracelet is back! Load on these semi-precious stunners from KISSPAT!